You will as well agree with me that GSM user’s base is almost over 100 millions in Nigeria and it is still growing day by day. Ever before some years back,these cards were being printed abroad and imported to this country by GSM service providers-MTN, ZAIN,GLOBACOM and ETISALAT and others like multilinks,starcomms,ZOOM,Visafone etc and it was however stopped by the government by making it compulsory for all GSM service providers to print their prepaid calling cards here in Nigeria.This, therefore, opened another investment opportunities for Nigerians-Agents, Distributors ,Retailers And The Consumers. 4.No more technical involvement though YOU having all the above-listed gadgets will only be of additional benefits to you. HOW DO I NOW START WITHOUT HAVING ALL THOSE 4 THINGS THAT ARE HIGHLY NECCESSARY IN STARTING THIS WONDERFUL BUSINESS AS I WAS TOLD? People like you are still not making a living with it as I repeat it once again. I have noticed that a lot of people are still not investing in this business though much people wish to invest in this business but they could not afford the fee of setting it up as YOU too will agree with me as I can see you nodding your head and what are the reasons? 1. People habitually read, rather than make use of it, dump and start to tell stories. 2.Those who would have started but could not afford the start up capital. 3.Those who however, started discovered they could not make the money. The basics of this eye-opening SOLUTION that will bring to your stable today are for all the categories listed above-“those who however started but could not make the money”. Rather than “return on investments” they can’t ever get the “return of their investments”. The universal truth is still remains that this business is a game of numbers. The more the number of people in your targeted market, the possibility of making it big. HOW CAN YOU TAP INTO THIS OPPORTUNITY? dealership, sub-dealership and small scale recharge card printing. You can be anywhere in the Country,Any State or Local Government and Start this Venture. You don’t need to own a personal computer or printer, having one would be a PLUS, all you need is use an internet cafe with a printer. You must also have an email address private to only you. This is a ONE TIME OPPORTUNITY TO EMPOWER YOURSELF ECONOMICALLY. TAKE ADVANTAGE OF THIS OPPORTUNITY AND ENROLL FOR THE RECHARGE CARD LEARNING OPPORTUNITY. MEMBERS WILL GET ALL THE KNOWLEDGE, TECHNIQUES, TUTORIALS AND EBOOKS THAT WILL ENABLE THEM TO START THIS BUSINESS. Once you have the ACCESS,Group members will have the opportunity to order recharge card pins anytime and the recharge pins will be sent to their email each time. How Will I Get Started? You can start within 48hrs after making payment for Instant for-Life membership access as I’m ready to take you by hand to making YOU a success in this Business with everything brainstormed and made available for YOU. All your questions pertainning to this Recharge Card Printing Business will be attended to and you’ll also be given marketing tips,technical supports and many more benefits that you could ever think of. How will I join this exclusive private membership and have instant access to all these goodies and start Printing Recharge Card? After payment,notify us about your payment on 08091833866. 5.Your scanned ID card be it Voters Card,Driver License,National ID Card,International Passport or any other means that you can use to proove to us that you are real and not a scammer nor another fraudster which must all be sent to legalwealthcreation@gmail.com with your valid email. After truely confirming your payment,YOU will be contacted via your email and mobile line within 24hrs for one or two questions.I will add you and you will be given the full membership access. Once YOU are verified,YOU will be given 50 pieces[5 Packs] of valid MTN N100 Voucher with your requested business name in a printable format into your email as all you need to do is to securely download it either with your mobile phone operamini or with your PC and print it out and start selling. All these will you be taught the STEP by STEP guide on how you are to go about doing that including how to sell fast and profitably. You can now be ordering more PINS of MTN and other networks as we give you best prices of any denominations[N100,N200 etc] of EPINS be it that of MTN,AIRTEL,ETISALAT,GLO,STARCOMMS,VISAFONE and many more. YOU will be shown all the tips, skills and step by step information on how to start printing and profiting from selling recharge cards. We are creating an e-learning environment where you can join and learn all it takes to start this recharge card printing business. How to print the Recharge Cards anywhere you are in the Country. 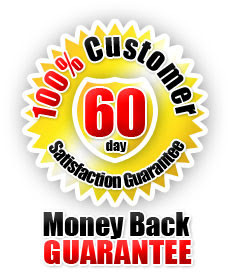 Learn how to get recharge card pins in bulk from a reliable designated Wholesale Distributor. Learn how to pay and make orders and get your recharge card pins in a day. Learn how to secure your pins from theft or mistakes. Learn effective customer service and how to deal with problems invalid pins or used pins. Learn how to effectively market and even distribute your pins to other resellers and make more money. Learn simple and effective strategies to getting more customers. Discover where you can purchase cheap and affordable printers and computers you can use in this business. Learn how to calculate and keep records of your sales and profit and monitor your sales. Learn how you can make over 100,000 profit every month from this business and many more opportunities to be unleashed to you. Note that this is a once in a LIFE TIME OPPORTUNITY TO EMPOWER YOURSELF FINANCIALLY.TAKE ADVANTAGE OF THIS OPPORTUNITY TODAY! JOIN and ENROLL FOR THE RECHARGE CARD LEARNING AND BUSINESS OPPORTUNITY. We as well offer One on One Trainning,Installation of Our Customised Recharge Card Printing Software and sell Recharge Card E-PINS be it that of MTN,ETISALAT,GLO,AIRTEL,Visafone and so on. We are based both in Ibadan and Osun State. You can come to us for trainning,software installation and access to EPIN by coming to us or specially invite us for trainning by booking an appointment with us. For more enquiry solely about this Recharge Card Printing Business,feel free to reach me on 0 8 0 9 1 8 3 3 8 6 6. 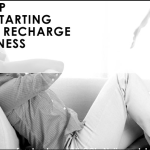 Discover How To Recharge Phones for people via Online and Earn Money Lazily!